Although this seminar was one of the last ones to take place in the day, I will start with it as it was full of, in the words of Kenneth Hite a “gratifyingly uncomfortable looking crowd”. That’s because the room was packed with fans, eager to hear what the company with one of the most engaging and close-to-perfect range of product had to say. The Investigative Roleplay with Pelgrane Press was run by Robin D. Laws, Kenneth Hite and Simon Rogers as panellists. Both Laws and Hite are heavy-weights in the games writing world with more writing years combined than most of us have been alive, and their CVs are so extensive that listing it in his article would take me a week. As is customary with this sort of seminars, the session started with an overview of the forthcoming products that Pelgrane Press has in the pipeline. Kenneth Hite started with his new book, Bookhounds of London, a campaign frame for Trail of Cthulhu in which you play a rather seedy character who deals in forbidden grimoires and magically dangerous merchandise for dark cults that want to end the world because “they have to make the rent”. By the sounds of it, Hite has spent a great deal of time investigating and researching London and he brings the promise of reproduced maps that have been painstakingly indexed to make them useable as source material and adventures. Robin Laws announced with a great deal of pride in his voice (well deserved) that their newly launched for Dragonmeet “Armitage Files” had sold out within two hours of the show opening and the rest of us poor mortals would have to find it someplace else. The Armitage Files is, in the words of Laws an “improvised hand-out driven Trail of Cthulhu campaign”. However they still had copies of Skulduggery, refit of the original dying earth to a faster style, where you create your characters by delivering random cards that then you put to play. It comes with all sorts of adventure backgrounds, including the most horrific of them all “how to set up a High School musical”. It was very exciting to hear from Simon Rogers that their new Science Fiction setting, Ashen Stars is finishing the largest beta playing they’ve ever had with over 25 beta games reports, which has lead them to revise the manuscripts and amend considerably the space combat system. He admits that a “simulationist” system would have work and it has happened not to. However, this system is turning up to be a lot better than expected and was described as “really cool”. Simon was quick to praise and thank the group of play testers who have been really thorough on their work. Kenneth Hite also came up with a new product he’s working on that promises to keep us engaged and VERY entertained. If you are a fan of vampires, then you’ll be looking forward to Night’s Black Agents. A mix of vampire and spy game that was described as “If in the movie Ronin, Robert de Niro and Jean Reno found out they are working for vampires, and then is the Bourne Identity, because when you find out you work for Vampires, you have two options; kill or run… ideally both”. Rightly so, Kenneth Hite thought there aren’t enough ways to kill a vampire in today’s RPG scene and decided to come up with this concept, despite Robin Laws suggesting “holy water boarding” as an additional method. One of the last announcements that will have fans of fiction writing sitting on the edge of their seats for a while is Pelgrane’s own fiction imprint, called Stoneskin Press (I hope I heard that name right!). With Robin D. Laws as creative director, the line will start with an anthology from both within and outside the gaming community. If you’ve ever read a book by Robin D. Laws, you’ll know he’s not going to choose just anything and that quality will be absolutely top notch. The most interesting and exciting part of this announcement, though, is how they plan to use material from unknown people who normally wouldn’t get the chance to see their work published, hoping this way to work with the huge and untapped talent out there. The first anthology will be called “The New Hero” and it’ll tackle new iconic heroes created by the wide variety of writers who are already submitting stories to the company. The second anthology will be called “Shotguns vs. Cthulhu” and a line-up of seasoned HP Lovecraft writers will contribute to what will surely become a new classic. After making our mouths water with this amazing information, Laws went to describe how the Gumshoe system is different to anyone else. Although we won’t go into the ins and outs of the system in this article, we’ll just say the system has been designed to make sure the players never run out of information, and thus never get stuck in an adventure not knowing what to do. When during the Q&A part of the session they were asked if any other system could be adapted to work like the Gumshoe system, the panellist were pretty chilled about the challenge and Robin Laws showed his expertise as a games designer and not just writer by showcasing plenty of reasons why this, although possible, is not always practical as it would require the change of the core system by this abilities are acquired in any given game. He also explained how the Gumshoe system does help the players get more involved in the adventure itself, rather than become passive watchers of the adventure that the NPCs are having. Simon Rogers also jumped at the chance to show he’s not just someone who owns the company, but also has a deep knowledge of the system. 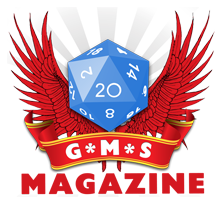 Describing how the GM has to consider if the information he or she has devised for the adventure is to be had by the players in order to advance the game, or if they’re only meant to have a 20% chance to obtain such information and why only that percentage. A few more questions in those lines were thrown to the panellists and again they managed to give perfectly reasonable explanations to the public’s concerns. If you want to hear them, please contact the magazine and we’ll be more than happy to provide a link to the full recording of this session. As it is to be expected with the Gumshoe system, the reigning theme was flexibility. Time and again there was no effort whatever from the veteran writers to highlight how easily the system can be utilised in whatever way the players need in order to have a great investigative experience. Railroading and the way the Gumshoe handles it was discussed at length and the input from Kenneth Hite was quite interesting. “Railroading is a pejorative term for a game where something is accomplished”… argue with that! Even at the time when someone accidentally turned the lights off, the atmosphere of the session was incredibly relaxed and friendly with laughter all around the room. So everything was going really well until I asked my question, at the very end: How hard is it to write in order to create the immensely inspirational work you produce? Of course he then did explain how their method is about writing about things that provide with a story, and every word in those books are there for a reason and the reason is to provide an experience. That indeed explains why the quality of Pelgrane Press’ books is way up with the best in the industry, though it didn’t really give me an answer as to how difficult it is to write like they do… I guess we all have trade secrets! If you would like to hear the full audio recording for this session, please contact us and we’ll be happy to provide with a link to the MP3 file. You are being laughed at! Article – Why are we talking about them? Thanks for writing this up. Manning one of the trade stalls this year (we talked briefly) I didn’t have a chance to see any of the seminar’s so your write-up is appreciated. I’d like a link to that MP3 and I don’t see why you can’t just make it available in the article? I didn’t know about Ashen Stars so that sounds interesting. However, I couldn’t figure out how to parse this sentence: He admits that a “simulationist” system would have work and it has happened not to. It seems important, but I just can’t grok it. There were a few other obvious mistakes where you’ve used the wrong word or sentence only makes sense with a bit of interpretation. It’s only a blog post so not the end of the world, but you might want to go over this one again and tidy it up a bit. Great job on the GMS Magazine – lots of interesting posts here that keep me coming back. Look forward to reading about the other seminars. First of all thanks for the comment. It is much appreciated. There are two reasons why I haven’t the MP3 directly available. One is bandwidth. It is a large file and it will take quite a lot if everyone downloaded it. Secondly I’d like to know who downloads it and if they’re going to use it for their podcasts or reviews. I don’t mind either way and as long as credits are given to the magazine, I’ll never say no to anyone else using it, but don’t want it to be abused either. The “simulationist” thing… Simon Rogers explained who they tried to create a system that would simulate space combat and manoeuvres, but when tried, it just didn’t work, so they had to rethink the system and get away from a simulation based one. Since it is a word he used, I thought it’d be only fair and appropriate to leave it intact in the article. I’m afraid the rest is al my fault. Between my dyslexia and English not being my mother language, my grammar is not always up to scratch. Although I do have it easier to spot other people’s linguistic intricacies, I get so absorbed in my own work that I can’t see mine. It is always welcome, though, when pointed out. I don’t think I’ve ever taken it in a bad way when a reader directs me to an area that could (should!) be improved. Glad you like the magazine. Any ideas or feedback is always welcome, so please keep coming back, it us truly appreciated!